Alcami recently authored an article featured in Drug Development & Delivery titled "A Practical Approach to Extractables & Leachables." The study of extractables and leachables (E&L) has been evolving for many years. As pharmaceutical manufacturers, packaging vendors, and regulatory agencies gain more knowledge of extractable compounds, the scope of E&L guidelines grows with it. Many of the case studies that initiated interest in extractables and leachables are based on primary packaging. In some cases, the secondary or tertiary packaging were identified as sources of leachables. As a result, the primary emphasis of extractables screens has been on the packaging systems. The approach to these screens is well established. 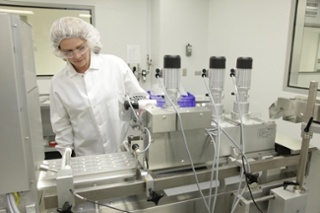 The first iterations of regulatory guidance addressed the common packaging materials in the United States Pharmacopeia (USP) chapter <661>, which relied heavily on physiochemical testing to characterize the material of construction but did not directly address extractables testing of the final packaging materials in detail. With advancements in the manufacture of plastics and increasing variety of base polymers used for packaging systems, it became evident that more specific guidelines are needed.